David Tepper and Jim Simons each earned more than $1 Billion in 2010. David Tepper isn’t doing great his year but Jim Simons is outperforming the market again. David Tepper and Jim Simons have 16 in common. Apple Inc. (AAPL) is one of the most popular stocks among hedge funds and rightly so. Since the end of June, Apple has gained 14%. It has a hedge fund rating of 85. Apple is the largest holding in the equity portfolio of Jim Simons’ Renaissance Technologies. Simons has $445.8 million worth of Apple. David Tepper’s Appaloosa Management has $67.1 million invested in the company. Ken Griffin’s Citadel Investment Group has both put and call option positions of Apple. He has around $2 billion invested in the company. Google Inc. (GOOG) is also one of the most popular stocks among hedge fund managers. The company has also gained 5% since the end of June. Jim Simons has $280.8 million invested in the company. Google is the 5th largest holding of Renaissance Technologies’ equity portfolio. David Tepper owns $45.5 million worth of Google shares. 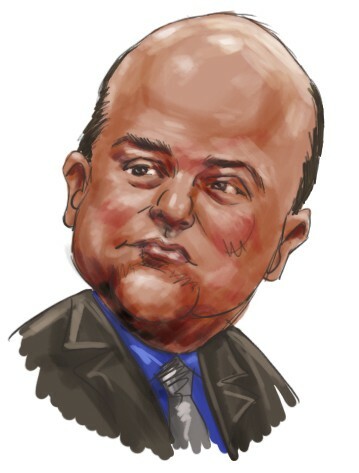 CF Industries Holdings (CF) is among the top 10 holdings of David Tepper. Tepper has $122.8 million invested in CF Industries. Tepper has the second highest stake in CF Industries preceded by Phill Gross’ Adage Capital Management. Jim Simons is also among the top 10 stakeholders of the company. He has $60.5 million invested in the company at the end of June. Since the end of the second quarter, CF Industries gained 29.6%.